Co-founders Larry Luchi and Steve Bown. Steve died tragically when his Cessna 350 crashed in North Carolina in 2012. 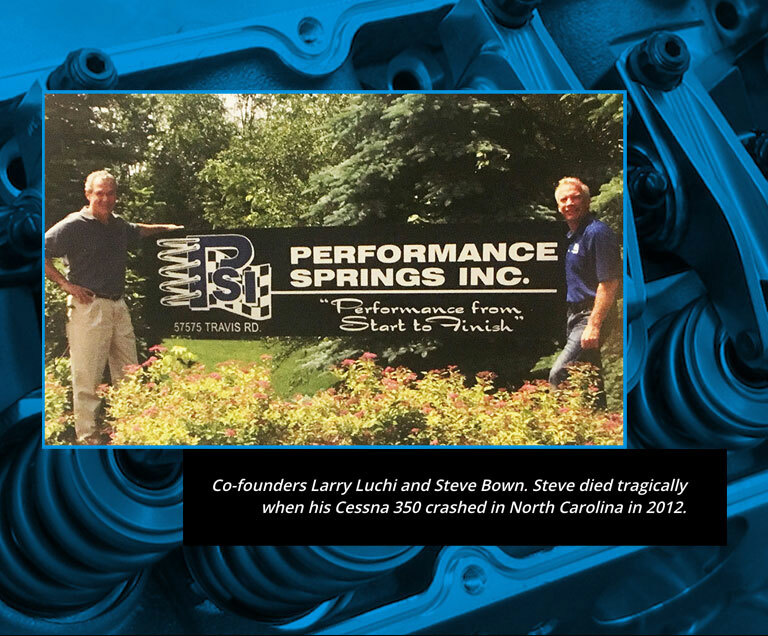 Co-founders, Bown and Luchi, started PSI in 1996 with the goal of making the best valve springs available for the racing industry. 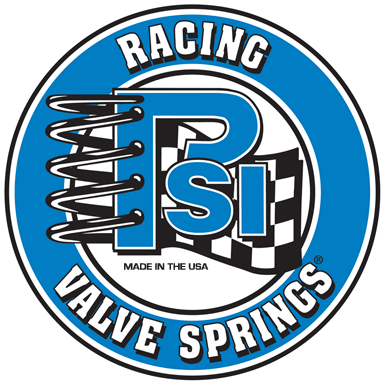 Prior to this time, all racing valve springs were made by big companies that focused largely on OEM valve spring applications. Their first year, PSI had only one customer – Randy Dorton, the legendary engine builder at Hendrick Motorsports. At PSI, all production processes are done in-house according to strict Quality Control procedures.